The rent at Belle Isle Terrace Apartments ranges from $670 for a one bedroom to a $790 two bedroom. Apartments in this building are about 6% more expensive than the Woodland Park average. This is a pet-friendly apartment. This apartment is in the Woodland Park neighborhood in Oklahoma City. Nearby parks include Flower Garden Park, Smittys Park and Douglas Park. Belle Isle Terrace Apartments has a Walk Score of 63 out of 100. This location is Somewhat Walkable so some errands can be accomplished on foot. 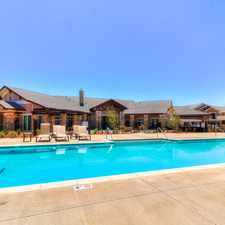 Welcome to your new home at Belle Isle Terrace Apartments located in the heart of Oklahoma City! Gated community with maintained landscaping, covered parking, a club. Take a nice swim in our swimming pool and enjoy time with your loved ones! Our apartment amenities include units with fireplaces, renovated kitchens and bathrooms, and washer and dryer hook-ups. Ample parking, on-site management and maintenance staff! Located on a quiet street with Penn Square Mall only minutes away. Main interstates nearby include I-44 , I-235 and Northwest Expressway, making it easy to commute to shopping, dining and much more! To view our rental criteria and apply, visit www DenverRealtyGroup com Call us to schedule your showing! ! Explore how far you can travel by car, bus, bike and foot from Belle Isle Terrace Apartments. Belle Isle Terrace Apartments has some transit which means a few nearby public transportation options. Belle Isle Terrace Apartments is in the Woodland Park neighborhood. Woodland Park is the 47th most walkable neighborhood in Oklahoma City with a neighborhood Walk Score of 54.